Children are best served in families. We know this, yet in Guatemala, as many as %80 of children in orphanages, are not true orphans. When most people they think of an orphanage, they think of a home filled with children who have lost their parents. Yet in many developing countries, orphanages and children’s homes provide placement for children who have been abandoned, abused, neglected or simply delinquent. The true reason why they are placed in an orphanage, is not because they are orphaned, but because of the brokenness that exists in their homes. A brokenness, we believe, that can only be healed through a proper understanding of the Gospel. James 1:27 calls us as Christians to serve the orphaned, but that service has to be melded with wisdom, knowledge and excellence, as 2 Corinthians 8:7 implores us to “excel in everything—in faith, in speech, in knowledge, in all earnestness, and in our love for you”. Seven years ago we branched out from primarily serving children in orphanages to serving the children in the communities where they live. We were lead to work in one of the more dangerous, at-risk communities of the capital, a place where many of the 5000 children in orphanages in Guatemala come from. 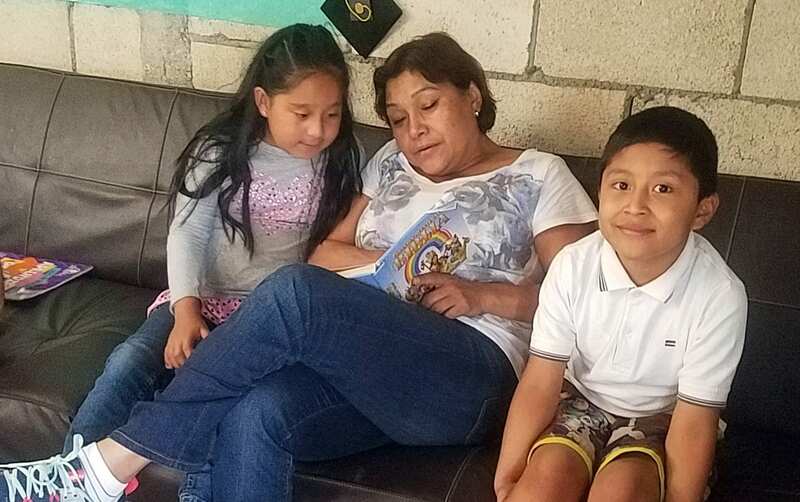 What started out as simple Bible classes for children in a small school, has grown to a fully-fledged community center serving over 100 of the most vulnerable, at-risk children in the city. Our goals are simple, we want to come alongside the parents and help them meet the needs of their children. We want to assist the parents in educating their children and teaching them about God. We want to minister to the parents, support, encourage and uplift them in the important task they have of raising their children. We want to see them become better parents through a better understanding of the Gospel. We want to see God glorified in the hearts and lives of people who come to know him and better understand the love that he has for us. Through our educational programs we help to augment and reinforce what they learn in school. Our job is not to replace the job of their teachers in school, but give the children extra assistance in math, language and reading that will help them excel in school. Many of the children’s parents never finished school and they work full time, so they either have a lack of understanding for what the kids need to learn, or aren’t there to help them. 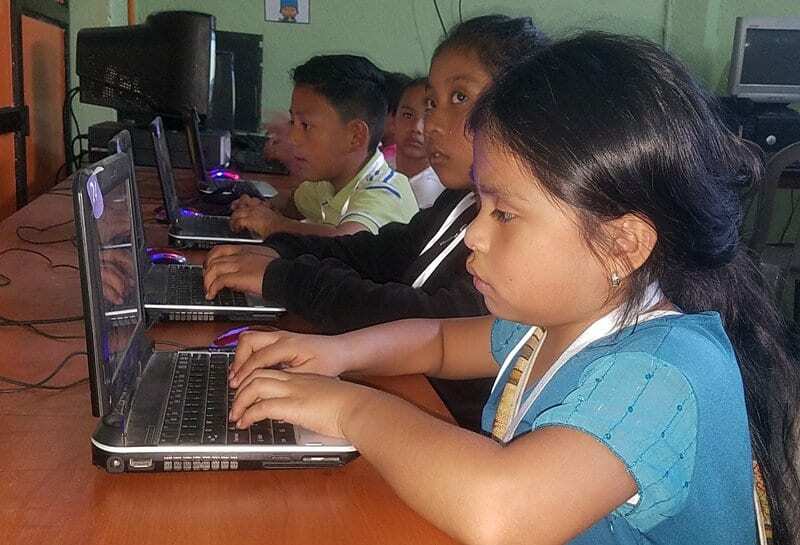 For children growing up in a country with limited employment opportunities, our computer, programming and English classes can provide the key to successful careers that help to break the cycle of poverty. Giving these children a moral framework, based on a proper understanding of who God is and what he wants for their lives. It means understanding morality based on Christian principals, it means memorizing verses with the children so they have Gods word firmly stored away in their hearts and it means teaching them the teachings of Christ in the hope that they will one day choose to follow him as his disciples. Our programs are designed to introduce students to new possibilities through technology. Information technology skills are where the future jobs are. In a country like Guatemala, with massive unemployment and underemployment, there simply aren’t enough job to go around. We place a strong emphasis on technology in our programs, all students learn to use computers and become proficient in typing and basic computer skills, but it doesn’t stop there, they learn to use the internet for research and homework, they learn coding and programming, web and graphics design, robotics and more. Most importantly, we teach the kids to learn for themselves. By opening their minds to what is possible, we are radically changing the course of their lives for the better.